Bregenz (German pronunciation: [ˈbʁeːgɛnt͡s] ( listen)) is the capital of Vorarlberg, the westernmost state of Austria. The city is on the eastern shores of Lake Constance, the third-largest freshwater lake in Central Europe, between Switzerland in the west and Germany in the northwest. The city is on a plateau falling in a series of terraces to the lake at the foot of Pfänder mountain. It is a junction of the arterial roads from the Rhine valley to the German Alpine foothills, with cruise ship services on Lake Constance. It is famous for the annual summer music festival Bregenzer Festspiele as well as the dance festival Bregenzer Spring. The first settlements date from 1500 BC. Celtic tribe named Brigantii is mentioned by Strabo as a sub-tribe in these region of the Alps. In the 5th century BC, the Celts settled at Brigantion, which was one of their most heavily fortified locations. After battles in 15 BC, the Romans conquered Brigantion and the city became a Roman camp. It was conferred the status of a municipality (Brigantium) around 50 AD and was the seat of the Roman admiralty for Lake Constance. In 259/60 Brigantium was destroyed by the Alemanni, a Germanic people who settled in the area in around 450. From 610 to 612 St. Columbanus and Saint Gall worked as missionaries in Bregenz. From 917 the castle served as a residence of the Udalrichinger (ruling dynasty of Vorarlberg), who called themselves Counts of Bregenz. The house died out around 1150. The son of the first Ulrich was Saint Gebhard, born in 947. He became Bishop of Konstanz. In around 1170 Hugo of Tübingen (Montfort) founded a town settlement (first documented mention in 1249), enlarged in the 13th and 14th century and from 1650 to 1652. The city was sold in 1451 and in 1523 to the Habsburgs and continued under Austrian rule, with a brief occupation by Swedish forces under Carl Gustaf Wrangel during the 30 Years' War, until the 19th century. Bregenz was under Bavarian rule from 1805 to 1814. From 1842 to 1850, the harbour on Lake Constance was built. In 1883 and from 1889–1891 the harbour was enlarged, and Austrian ship service was set up in 1884. Rail communication has existed since 1872 and since 1884 across the Arlberg massif. Since then, the town has extended to the surrounding countryside. Since 1726, Bregenz has been the main seat of Austrian administration in Vorarlberg (Obervogtei, in 1786 Kreisamt, since 1861 seat of the Landtag, since 1918 seat of the Landeshauptmann). Rieden-Vorkloster and Fluh were incorporated into Bregenz in 1919 and in 1946, respectively. The town was bombarded in 1945, and 72 houses were destroyed. The Pfänder, a panoramic point of Bregenz. The Martinsturm, built in 1601. Ancient city wall, upper town. Martinsturm (Martin's Tower). Originally built by the Romans, it has a chapel with frescos from 1362. Between 1599 and 1601 a storey was added. It has the largest Baroque bulb-shaped steeple in Central Europe, and houses the Museum of Military History. Gothic parish church of St Gall: its Romanesque foundations date from before 1380, but it was rebuilt around 1480. Around 1737 it was altered in Baroque style. Former Kornhausmarkt (built 1838 to 1940, altered 1951 to 1955); it now houses a theatre. Sights in the district of Vorkloster include the Maria Hilf parish church (1925–1931, by C. Holzmeister, interior from 1980) and the Cistercian monastery of Mehrerau. On the Gebhardsberg rock are remains of the fortress of Hohenbregenz (destroyed by the Swedes in 1647). Bregenz is the seat of the Vorarlberg state assembly (Landtag), and of most of the provincial authorities/institutions of Vorarlberg (e.g. school supervisor, police headquarters, department of human resources development (AMS), Office for Environmental Protection, Chamber of Labour, Economics Chamber, Chamber of Agriculture, Chamber of Pharmacists, military regional headquarters, military garrison, one of the main hospitals of the province (Landeskrankenhaus) as well as a sanatorium, farmers' health and social insurance office, VLV (Mutual Fire Insurance Institute). A consulate-general of Turkey, and honorary consulates of Belarus, France, Germany, Hungary, Norway, and Switzerland are located in Bregenz. Honorary consulates of Finland and the United Kingdom are located in nearby Lauterach, and an honorary consulate of Brazil in nearby Hard. Bregenz is home to four Gymnasium secondary schools, a commercial college (HAK), a technical college (HTL), upper secondary business schools (Höhere Lehranstalt für wirtschaftliche Berufe), three Berufsschulen (vocational schools), crafts colleges, the Academy of Social Sciences, nursing school. Others include: an adult education centre, a school boarding houses, state archives, a state library, a state museum, Kunsthaus Bregenz (modern arts centre), Künstlerhaus (art centre), Thurn und Taxis Palace, five monasteries, Heimatwerk (autonomous institution fostering the manufacturing of traditional craft products, etc. ), various newspapers. Festival and Congress centre, Theater am Kornmarkt, casino, harbour for sailing boats and yachts, cable car up the Pfänder mountain. There were 14,769 employed people at Bregenz in 1991. The economy is mainly dominated by small businesses in the service, trade and industry sectors: these include textile industry (Wolford AG), iron-fittings manufacturer Julius Blum GmbH, glass processing and machine construction. The airline InterSky, which was the biggest privately owned airline in Austria, had its headquarters in Bregenz. Bi-seasonal tourism; a major attraction is the Bregenz Festival (since 1946, floating stage since 1949, modernised in 1979, Festival and Congress Hall in 1980), winter sports at the Pfänder mountain. The annual summer music festival Bregenzer Festspiele is a world-famous festival which takes place in July and August each year on and around a stage on Lake Constance. This festival attracts more than 150,000 people every year to Bregenz (2011: 166,453, 2016: 159,172) with a budget of around EUR 20 million. The program changes every two years. In 2016 the main opera performed was Turandot by Giacomo Puccini. In 2017 and 2018 the main opera was Carmen by Georges Bizet. In addition to playing on the lake stage, orchestral concerts and operas are also played in the adjacent festival theater. In 2018 local opera houses are staging productions of Beatrice Cenci by Berthold Goldschmidt and The Barber of Seville by Gioacchino Rossini. There is also a children's and youth program during and before the beginning of the festival. Since 2014, the Bregenz Jazz Festival has been held every year in June at the Kornmarktplatz. It is the successor of the New Orleans Festival, which took place from 1999 to 2013 several days in the early summer in the inner city of Bregenz, and which was no longer supported by the initiator Markus Linder. In addition to the change of name, there was also a musical genre change from blues to jazz. The location and the timing stayed roughly the same. Since 1987, the Bregenzer Spring, a dance festival, has been held every year between March and May in the Festival Hall of Bregenz. Dance ensembles from all over the world perform their new productions as well as Austrian premieres. With a budget of around EUR 500,000 and up to 10,000 visitors, the Bregenzer Spring is one of the most important dance festivals in Austria. A1 Bregenz HB is a handball team. SC Bregenz is the football team of the town, competing in the Austrian Regional League (Third Division). Max Sick (Maxick) (1882–1961), German strongman. Valentin Feurstein (1885 – 1970) Austrian general in the Wehrmacht during World War II. Hermann Gmeiner (1919 in Alberschwende – 1986) Austrian philanthropist and founder of SOS Children's Villages. Christina Simon (born Christina Ganahl in 1954 in Lochau) Austrian singer and composer. Markus Gasser (born 1967) literary scientist and author. Roman Rafreider (born 1969 in Bregenz) Austrian television host and journalist. Christof Unterberger (born 1970) cellist and film composer. Maria Anwander (born 1980) conceptual artist, specializes in performance and installation art. Jakob Kasimir Hellrigl (born 1993) known as Candy Ken, rapper; combines a masculine appearance with feminine pop culture. Bangor, Northern Ireland – various exchange trips take place between the two places. ^ "Dauersiedlungsraum der Gemeinden Politischen Bezirke und Bundesländer - Gebietsstand 1.1.2018". Statistics Austria. Retrieved 10 March 2019. ^ "Einwohnerzahl 1.1.2018 nach Gemeinden mit Status, Gebietsstand 1.1.2018". Statistics Austria. Retrieved 9 March 2019. ^ "Ergebnisse der Registerzählung 2011". Statistik - Landesstatistik Vorarlberg. Archived from the original on 26 September 2014. Retrieved 26 September 2014. ^ "Türkiye Cumhuriyeti Bregenz Başkonsolosluğu". Bregenz.bk.mfa.gov.tr. 25 February 2013. Retrieved 26 March 2013. 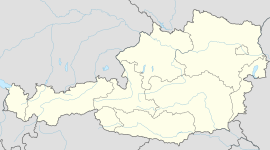 ^ "Foreign representations in Austria". Federal Ministry for European and International Affairs (Austria). Retrieved 27 January 2009. ^ "Facts and Figures | Bregenzer Festspiele". pressefoyer.at (in German). Retrieved 7 February 2017. ^ "Bregenzer Festspiele". Bregenz (in German). 9 June 2015. Retrieved 7 February 2017. ^ "From Jazz to Blues - Article in the local newspaper". Vorarlberger Nachrichten (in German). Retrieved 7 February 2017. ^ "Bregenzer Frühling". Bregenz (in German). 15 July 2015. Retrieved 7 February 2017. Wikimedia Commons has media related to Bregenz. Wikisource has the text of the 1911 Encyclopædia Britannica article Bregenz. Wikivoyage has a travel guide for Bregenz. "Bregenz" . Encyclopædia Britannica. 4 (11th ed.). 1911. This page was last edited on 11 April 2019, at 23:23 (UTC).